Exciting news in the world of print books! 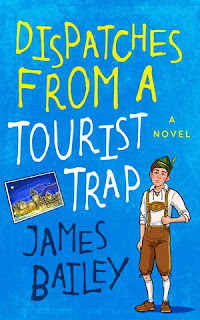 The First World Problems of Jason Van Otterloo and Dispatches from a Tourist Trap were both released in paperback format today. So if you don't Kindle and want to read them, you can now order them on Amazon. I held off on formatting First World Problems for print when I released it last fall, mainly because sales of my other books as paperbacks were so sluggish. But they've picked up quite a bit over the past four months, enough to motivate me to make all five of my books available as both ebooks and paperbacks. I was also a little hesitant to deal with the conversion process, as I've struggled with formatting for print some in the past. But I have to say this time it was much easier than I'd feared. Maybe I'm learning a thing or two along the way.